The Secretary of State for Local Government, James Brokenshire, has been accused of using an undemocratic process in appointing the leadership of the interim Unitary Council last week. The decision for Buckinghamshire to move to a single Unitary authority, incorporating the district councils of Aylesbury Vale (AVDC), Wycombe, Chiltern and South Bucks as well as Buckinghamshire County Council (with Milton Keynes remaining autonomous) was taken in November last year. Following this decision, the structure that will set out the arrangements for the transition to the new Council in 2020 was announced on 10 January. The news has not landed without controversy, as the leadership of the so-called Shadow council has been appointed by the Ministry of Housing, Communities & Local Government without local councillors getting a vote. In May 2018, Ministers had explained in the House of Commons that the Government's policy is that it will not seek to impose top-down solutions on local government. 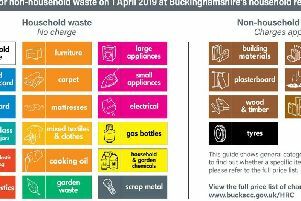 A spokesperson for the Office of James Brokenshire said: "In making these decisions the Secretary of State has carefully considered representations from both the county and district councils in Buckinghamshire. The AVDC cabinet met on the evening of 10 January and unanimously voted not to give consent to the setup of the transition team. The new council, which will consist of 147 members – three councillors for each ward - will be launched in April 2020 with fresh elections taking place in May 2020. Commenting on his appointment to this paper, the new shadow executive chairman Martin Tett said: “This is a decision by the Secretary of State and as a council we will abide by that decision,” adding, “There are very challenging timescales so we need to all unite to implement this for the people of Buckinghamshire."